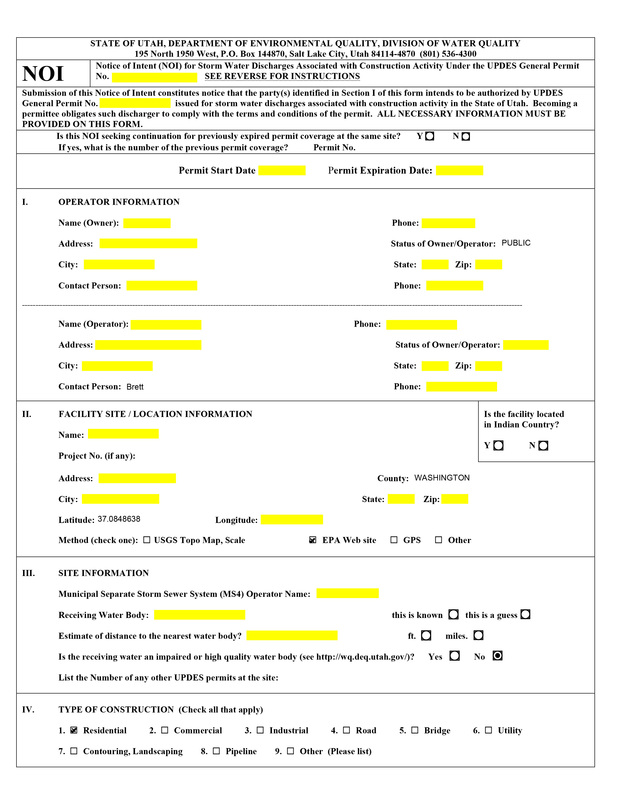 Santa Clara City requires all new construction to submit a State Stormwater Permit (NOI). 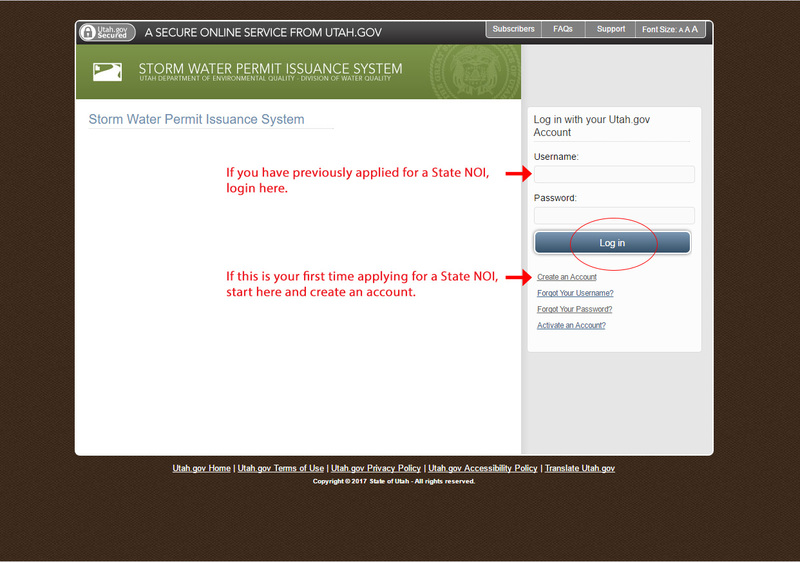 You may click THIS LINK to be directed to the State website where you can login (existing user) or create a new account (new user) to apply for your State NOI. 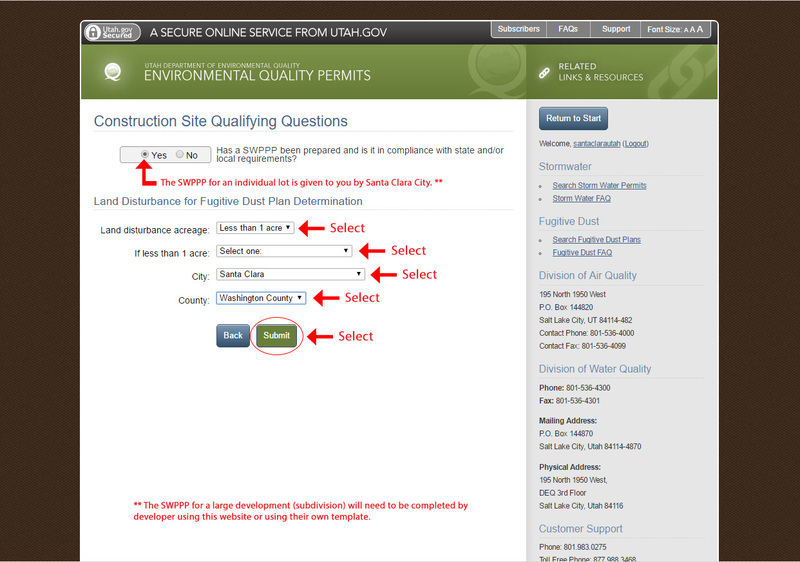 The State website will guide you through the process of applying for your permit. 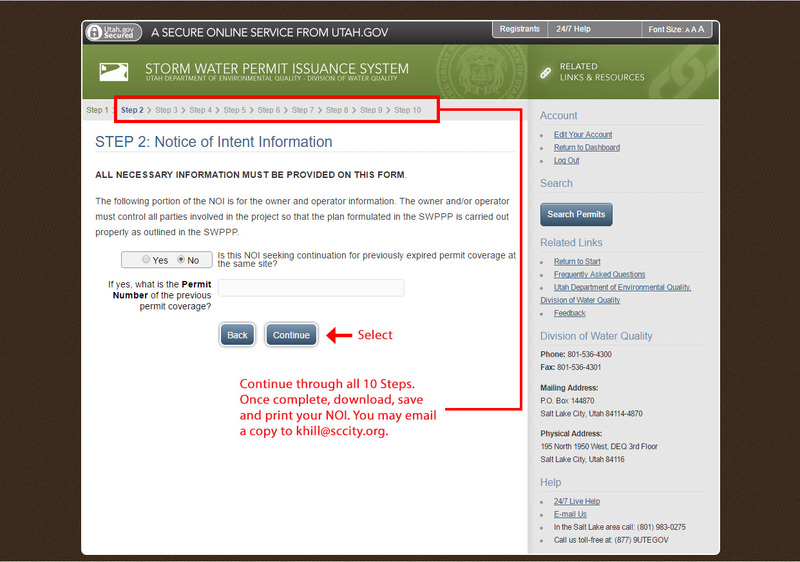 You are also required to submit a SWPPP (Stormwater Pollution Prevention Plan). 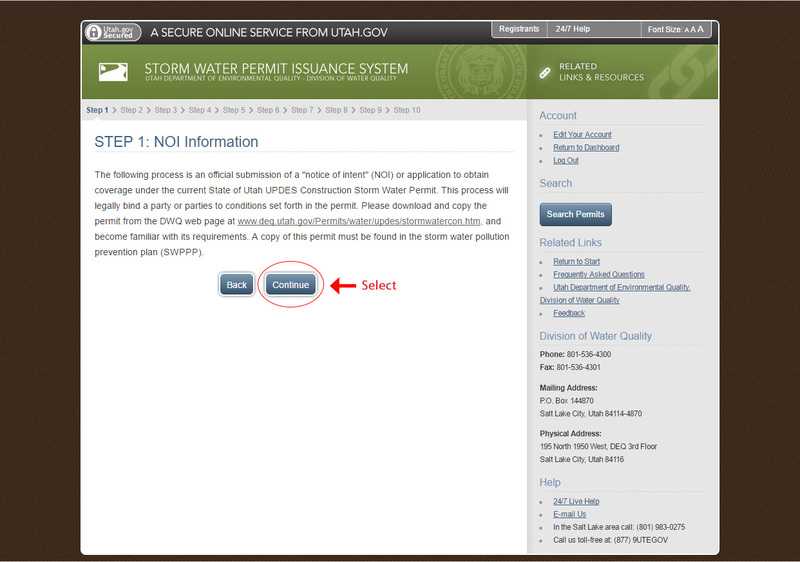 You can create a SWPPP on the State website or use the Santa Clara City form found HERE. 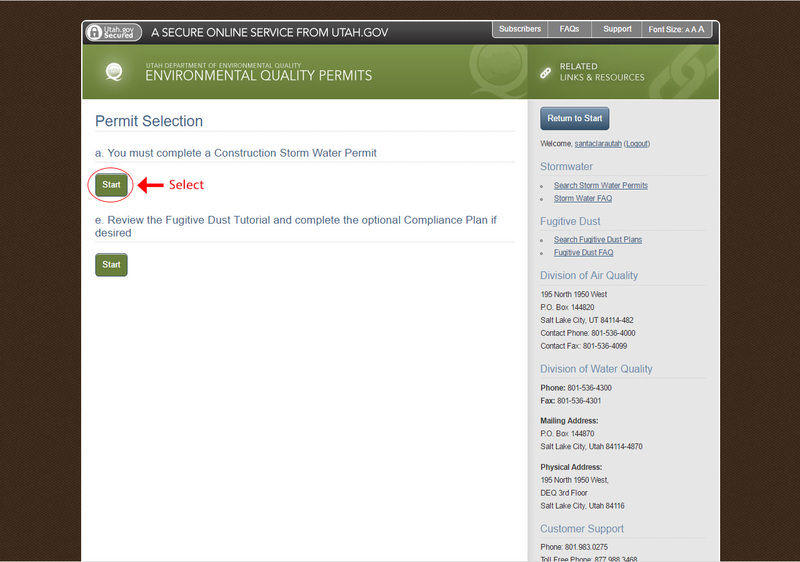 Both documents are required for all new construction, as well as a pre-construction meeting with our Storm Water Manager, Fred Fage. 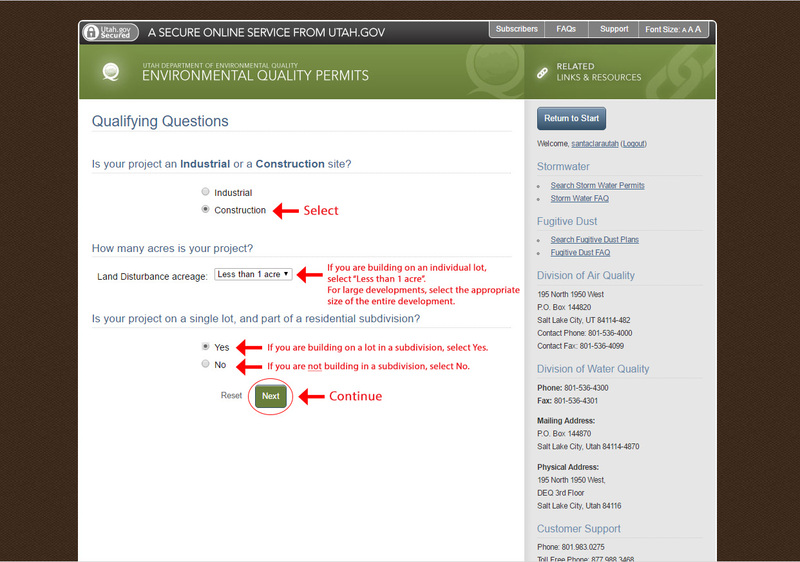 You will need to create an account if this is your first time applying for a permit, otherwise just login with your existing account. 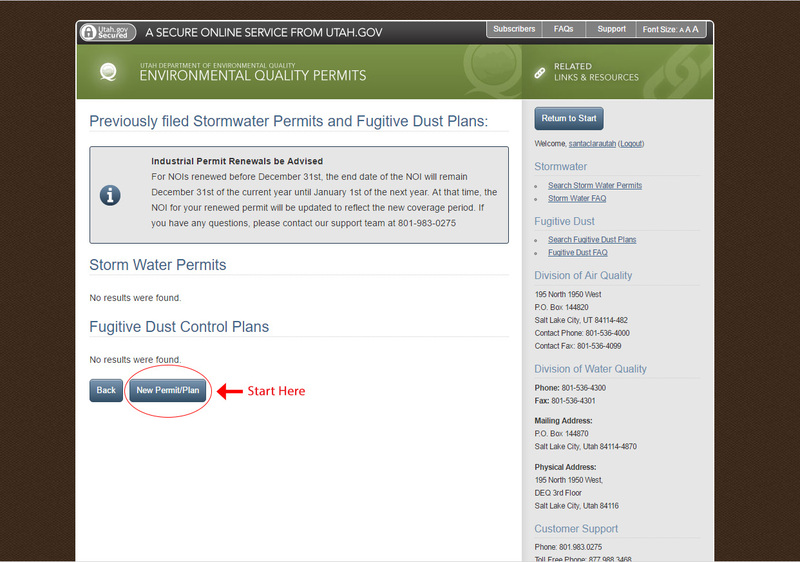 Click the apply for new permit link. Once you login or create an account, go to step 2.